A while back I wrote about the great site librarything.com. A great site for book lovers to catalog their own books and share reviews of books with other members. I have a similar site to share with you today. Goodreads.com is a place where you can share book recommendations with other readers. You can even form online book clubs with other readers anywhere in the world. I was able to create an account by using my Facebook login. It was very quick and simple. I started playing around with the site this evening. So far, I really enjoy the site. Very easy to use and I really enjoy the various lists of "best" or "worst" books. This list of top young adult books is a great resource for me to use when making purchases for our school library. It is also amusing to go through the lists to see how many of the "top" books I have read. Users are able to vote for books and comment on the current list. Users can also make additions to the list. Great site for a book geek like myself. How many of top 100 young adult books have you read? I am going to go through the list and see what my total is, after I complete my current read. 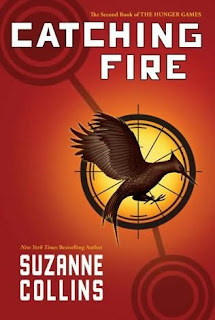 Speaking of my current read, I have started reading Catching Fire and I am hooked. I figure I will read the entire trilogy by the end of the month. 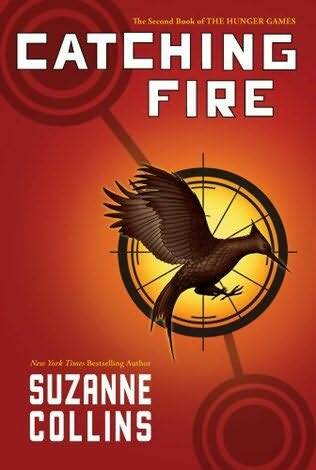 There is a great deal of excitement for our book club meeting tomorrow at Carlson High School to discuss The Hunger Games, the first book in the trilogy by Suzanne Collins. I love goodreads. I look forward to getting the email every day saying what my friends are reading and what they think about their books. What's your username there? I'm mhgoblue. Hi Meg, I just started to play around with it. I mainly used Library thing before. My user name is pehot75! I've friended you back! Please don't hold my goofy profile pic against me. I took it on a dare. Thanks, the pic is great :) You should see some of mine on FB...the News Herald didn't want any for my head-shot!